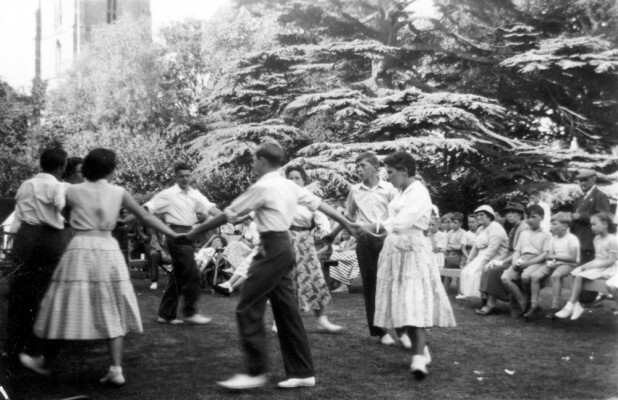 Copyright Ted Rayson: the audience watches as members of Bottesford Scouts and Guides perform a square dance on the lawn of the Old Rectory during a fete, probably at May Day, during the 1950s. centre to L, clockwise, Robert Taylor,Liz Bradshaw (Nee Ronan), Richard Cole, Pauline Gilbert, Peter Simpson, Maureen Cooper, Michael Bradshaw. Jill Howitt.